Recently I was invited to an exclusive pop up dining experience in London hosted by the Art of Dining who combined art and food for a truly unique experience. 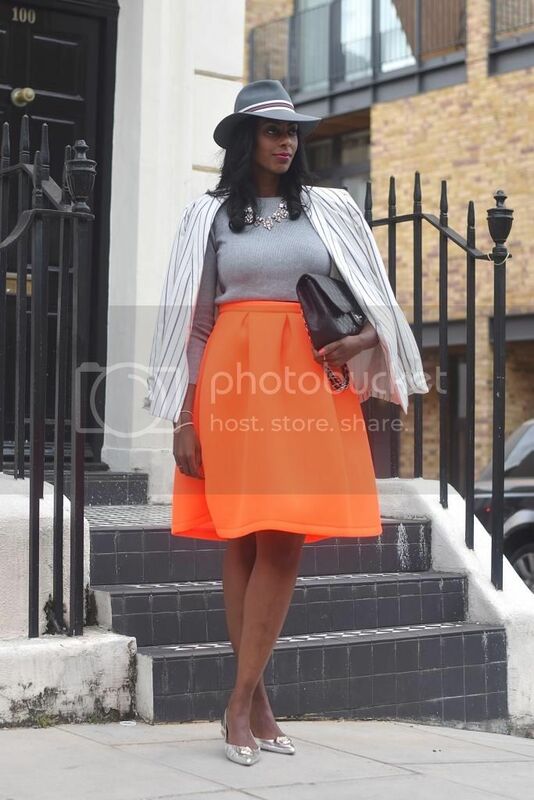 The lovely team over at Rainbow Club hosted a table of bloggers to discuss all things shoes. From the first course served, visually it was incredible! 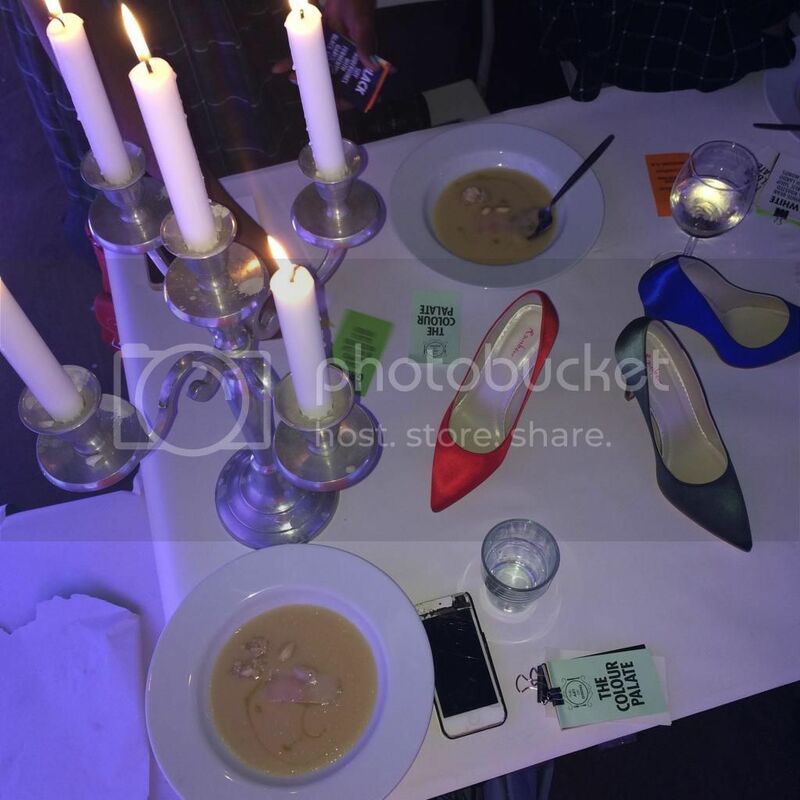 Every course had a specific colour theme where the food, room decor, lighting and music changed throughout. First off we started with a green theme so naturally we ate quail wrapped in vine and spinach on a green plate and before the next course we tore of the table cloth to unveil a white sheet underneath ready for the following white course. The most exciting experience for me had to be the black course as the room went completely dark so we could only rely on our senses whilst eating, having no idea what we were actually devouring. Before the event we all chose a pair of shoes from Rainbow Club to take away on the night. I opted for a pair of satin pointy flats which were hand dyed in scarlet red. When purchasing a pair of shoes with Rainbow Club you can have them hand dyed in any colour of your choice, which can be matched against any sample you send in...genius! 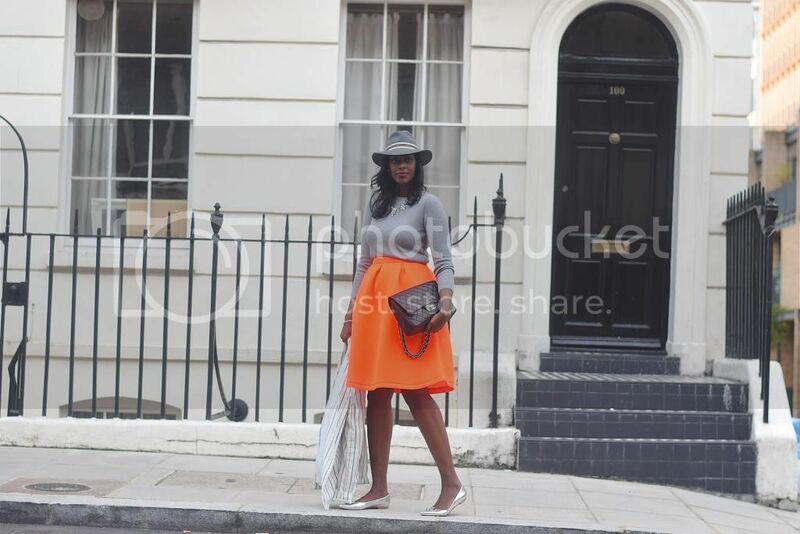 For the night I opted to go bold in bright orange, what better way to celebrate colour than dressing in a fluro midi skirt! 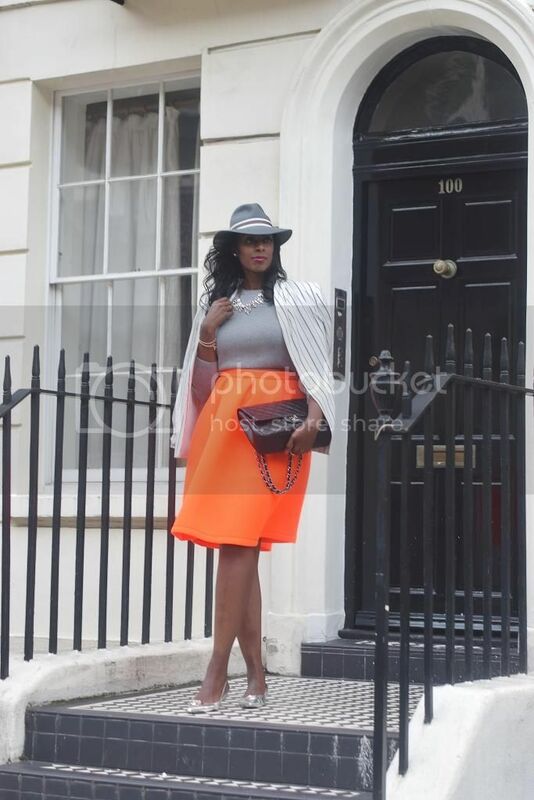 To keep the skirt the focal point, I styled it with a grey crop top (which comes in an array of colours), a striped blazer and this awesome trilby that I'm sure you will be seeing a lot more of over the coming months. Thanks Lauren, it really was a great experience! 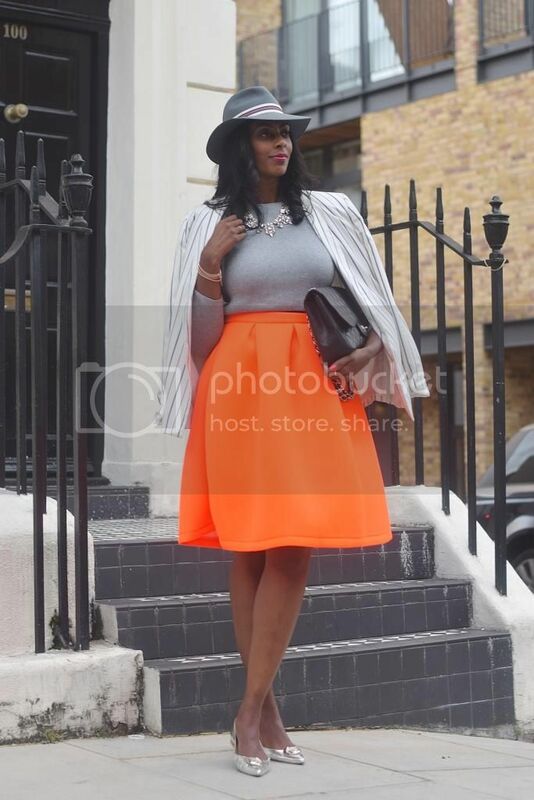 I have always loved orange paired with grey - and your skirt is SO gorgeous! Is it felted? neoprene? It has an amazing shape. The color of this skirt and wonderful and you really beautiful. Haha! 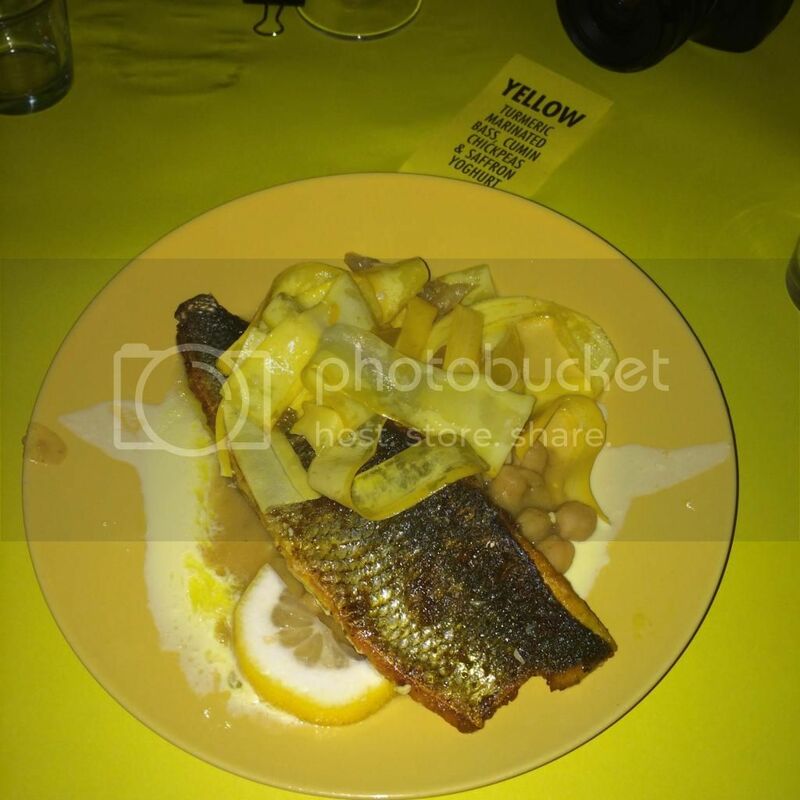 Before I read your post, I thought the colour of that yellow food shot was severly off! Now I understand why. 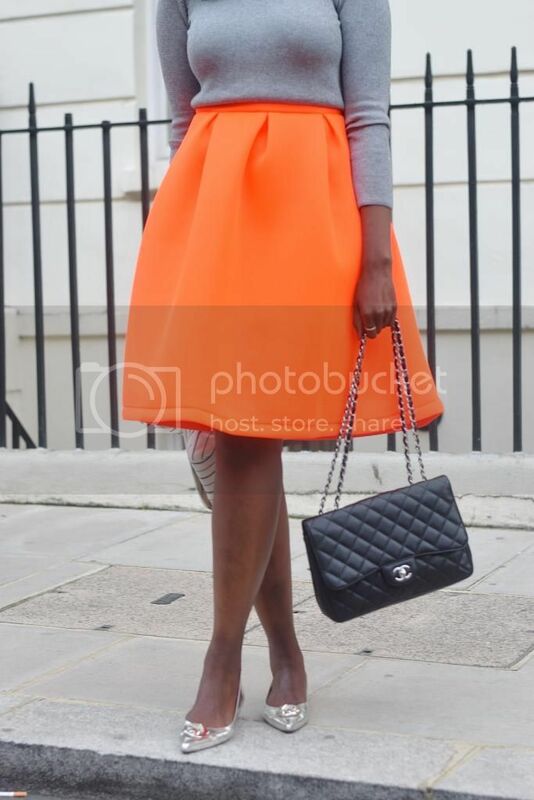 Lovely hat - and that Chanel bag is to die for! 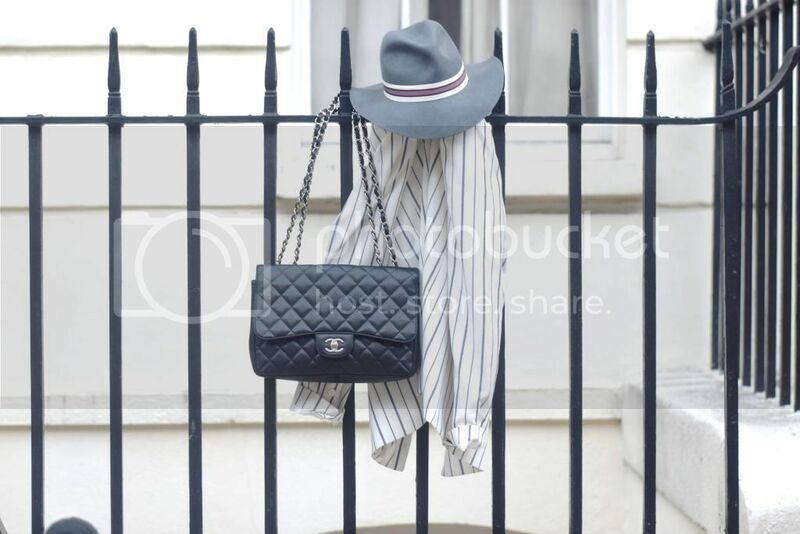 Also love the shot of the items draped over the fence.